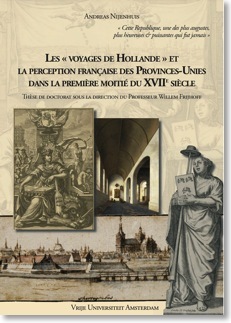 The PhD thesis prepared at the EUI and the Vrije Universiteit Amsterdam analyses the French perception of the Republic of the United Provinces in the 17th Century. Through the perspective of the French perception, the PhD thesis explores the fields of confessional conflicts and coexistence, urban space and commerce, the image of the Other. 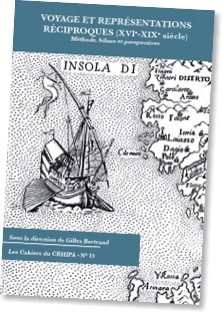 The thesis uses complementary sources: travel journeys, correspondences, political publications, images. The notion of Liberty in the works of Nicholas Machiavelli (1469-1527) has been explored in the Masters of Arts & Humanities. 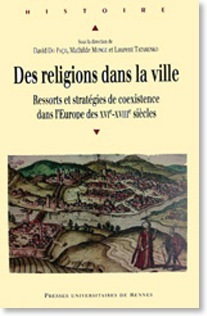 Research of the relations between the Abbey of Agaune (St-Maurice, Switzeland) and it’s protestant subjects. The participation of congresses, in the heading « Congresses ». The publications are listed here.